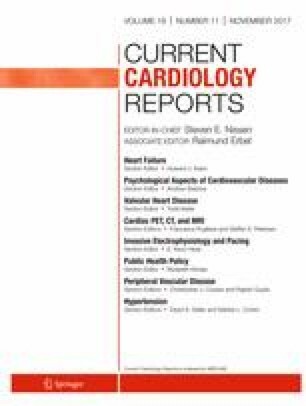 Our review is intended to provide readers with an overview of disease processes involving the pulmonic valve, highlighting recent outcome studies and guideline-based recommendations; with focus on the two most common interventions for treating pulmonic valve disease, balloon pulmonary valvuloplasty and pulmonic valve replacement. The main long-term sequelae of balloon pulmonary valvuloplasty, the gold standard treatment for pulmonic stenosis, remain pulmonic regurgitation and valvular restenosis. The balloon:annulus ratio is a major contributor to both, with high ratios resulting in greater degrees of regurgitation, and small ratios increasing risk for restenosis. Recent studies suggest that a ratio of approximately 1.2 may provide the most optimal results. Pulmonic valve replacement is currently the procedure of choice for patients with severe pulmonic regurgitation and hemodynamic sequelae or symptoms, yet it remains uncertain how it impacts long-term survival. Transcatheter pulmonic valve replacement is a rapidly evolving field and recent outcome studies suggest short and mid-term results at least equivalent to surgery. The Melody valve® was FDA approved for failing pulmonary surgical conduits in 2010 and for failing bioprosthetic surgical pulmonic valves in 2017 and has been extensively studied, whereas the Sapien XT valve®, offering larger diameters, was approved for failing pulmonary conduits in 2016 and has been less extensively studied. Patients with pulmonic valve disease deserve lifelong surveillance for complications. Transcatheter pulmonic valve replacement is a novel and attractive therapeutic option, but is currently only FDA approved for patients with failing pulmonary conduits or dysfunctional surgical bioprosthetic valves. New advances will undoubtedly increase the utilization of this rapidly expanding technology. Mouhammad Fathallah declares no conflict of interest. Richard A. Krasuski reports grants and personal fees from Actelion, grants from Abbott Laboratories, and grants from Edwards Life Sciences.